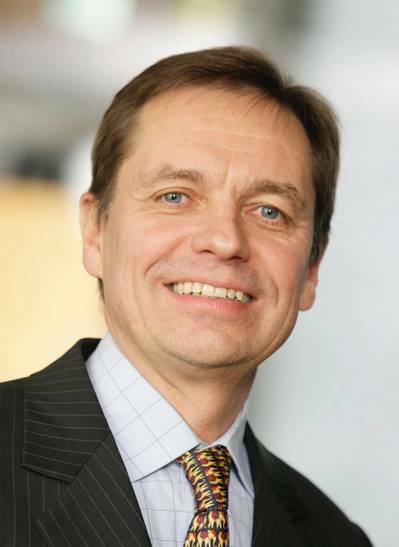 Wärtsilä Corporation inform that Kari Hietanen, Executive Vice President at Wärtsilä Corporation, has been appointed President of the European Engine Power Plants Association (EUGINE). This is a newly established association of European manufacturers of engine power plants. Wärtsilä explains that there are 14 founding corporate members in the association, which acts as the voice of the industry in regulatory and policy matters relating to energy. The objective of EUGINE is to accelerate the acceptance of engine power plant technology as an essential and value adding energy source in Europe. EUGINE aims to ensure that engine power plants are considered a viable and competitive solution for providing flexible energy, and that such flexibility is recognized and rewarded in the energy market. The association will thus contribute to the development of a reliable, affordable, more sustainable and modern European energy system, resulting in substantial economic and environmental benefits. The conditions and fundamentals in the European energy markets are changing. The amount of intermittent power generation is on the rise as a result of the increasing penetration of variable renewable generation into the system. This leads to a greater demand for flexibility in power generation to balance the fluctuations created as a result of the variable generation from wind and solar. "Flexible power generation is needed, not only to enable more renewable energy, but also to optimize the total European power system. Engine power plant technology needs to be seen as a truly viable and optimal solution for providing flexible power generation, which is a prerequisite for a sustainable and modern European energy system. New market designs to reward and incentivize investments in flexible capacity are needed in order to provide the required flexibility in the most economic way," says Kari Hietanen.